After coaching Virginia Elite’s 17’s and 18’s teams for 6 years, Patrick Lobner begins his first season as as the Academy Design Lead. 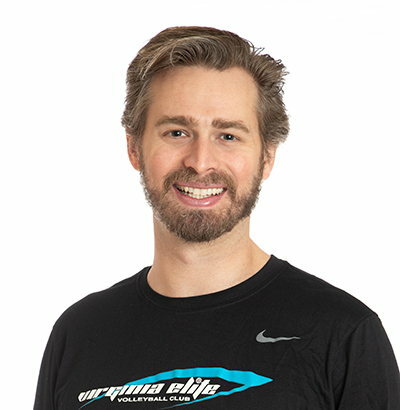 Lobner brings over 25 years of volleyball experience to his role of developing and assessing the effectiveness Elite’s training regimen based on the analysis of statistics. He has received multiple accolades with the club, including two Virginia Elite Diamond Coach Awards in 2015 and 2018 and an Assistant Coach of the Year Award in 2015. Originally from Manhattan Beach, California, Lobner grew up playing both beach and indoor volleyball. After four years with southern California powerhouse Loyola High School, he immediately earned a starting spot at the United States Naval Academy as a pin hitter. Lobner captained the Midshipmen to consistent top level finishes in his junior and senior seasons while earning numerous individual all-tournament awards. Upon returning to southern California, he continued to play in open-level sand tournaments. Lobner graduated from the Academy in 2004 with a B.S. in Electrical Engineering and a minor in Spanish Literature. He currently resides in Washington, D.C. and works as a Lead Associate for the consulting firm Booz Allen Hamilton.